Headquartered in Brentwood, Delek US Holdings (DK) is an Oils-Energy stock that has seen a price change of 1.12% so far this year. 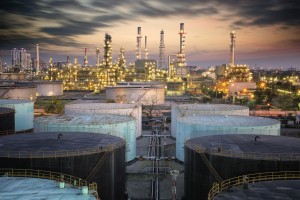 The refinery operator is paying out a dividend of $0.25 per share at the moment, with a dividend yield of 2.83% compared to the Oil and Gas - Refining and Marketing industry's yield of 2.21% and the S&P 500's yield of 2.02%. In terms of dividend growth, the company's current annualized dividend of $1 is up 66.7% from last year. Delek US Holdings has increased its dividend 1 times on a year-over-year basis over the last 5 years for an average annual increase of 7.07%. Future dividend growth will depend on earnings growth as well as payout ratio, which is the proportion of a company's annual earnings per share that it pays out as a dividend. Right now, Delek US Holdings's payout ratio is 37%, which means it paid out 37% of its trailing 12-month EPS as dividend. DK is expecting earnings to expand this fiscal year as well. The Zacks Consensus Estimate for 2018 is $4.49 per share, with earnings expected to increase 256.35% from the year ago period. High-growth firms or tech start-ups, for example, rarely provide their shareholders a dividend, while larger, more established companies that have more secure profits are often seen as the best dividend options. Income investors must be conscious of the fact that high-yielding stocks tend to struggle during periods of rising interest rates. With that in mind, DK is a compelling investment opportunity. Not only is it a strong dividend play, but the stock currently sits at a Zacks Rank of 3 (Hold).